BaylorProud » Is this the most Baylor Proud wedding ever? 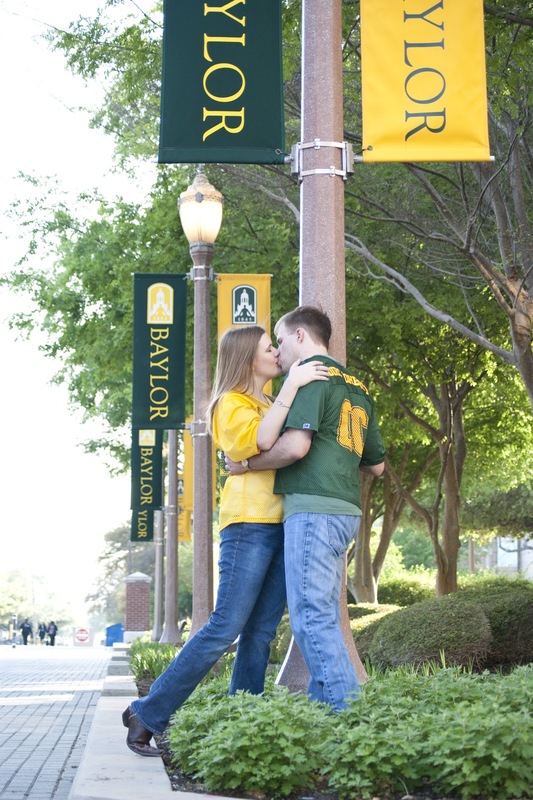 Is this the most Baylor Proud wedding ever? If there was ever a Baylor Proud wedding, it must have been this one. The wedding colors were green and gold. The new couple led a “sic ’em” immediately after being named husband and wife. Nine members of the wedding party were also Baylor alums (including three from Stephanie’s Welcome Week group). After the ceremony, everyone in attendance who attended Baylor posed for a group photo at the Judge Baylor statue. The groom’s cake was the university seal, and the reception featured Dr Pepper floats. The fight song played during the reception. Stephanie wore a Baylor garter. As the couple left the reception, guests waved green-and-gold pom-poms. Even the getaway car (a family member’s van) was green and gold.